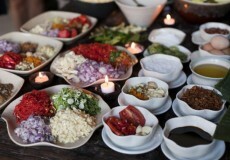 See the unique Balinese culture and experience some thing different on the island through cooking experience. 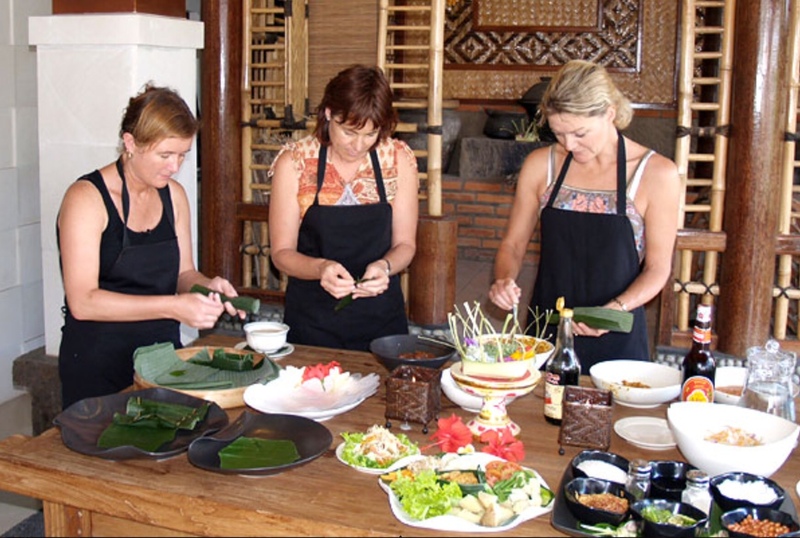 In this program you will learn more about Balinese spices and have greet opportunity to cook authentic Balinese cuisine and taste delicious meals and will be guided by Balinese chef. 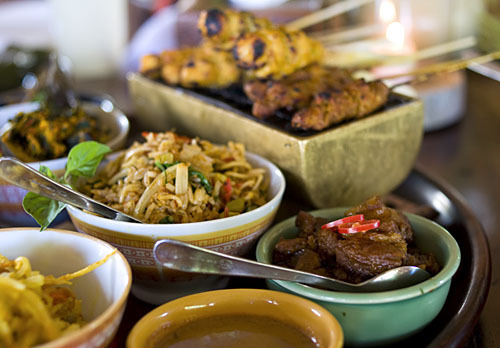 Visit traditional markets to see the daily activity in selecting local fruits, vegetables and spices that used for cooking. Learn about the complex irrigation system, called “Subak” that is used in the paddy fields. 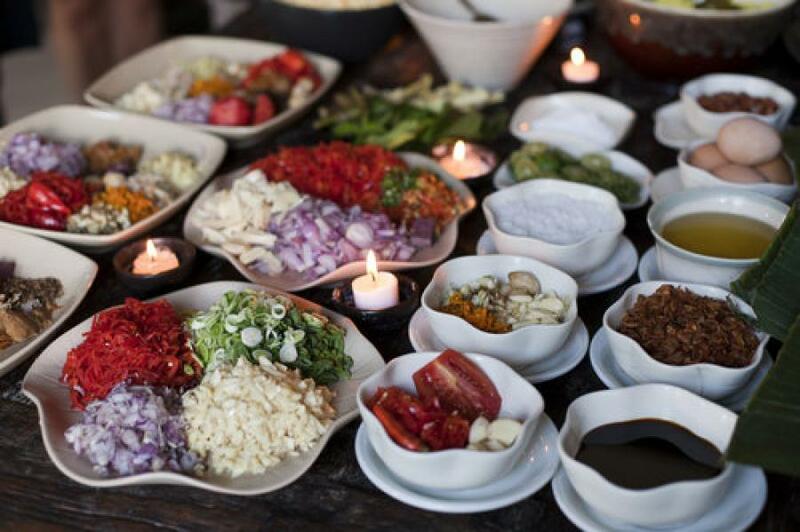 You will be welcomed into a traditional Bali Compound with a beautiful setting overlooking a deep ravine complete with spice plant organic. You will meet the family who’s warmth will make you feel very welcome. 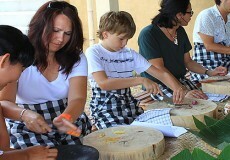 Make Bali offering for the Gods, Kuwangen and canang sari which area beautiful array of color and nature. Make Traditional Balinese Coffee, beans grown on the premises and roasted over an open fire to the crushing + straining then enjoy the best cup of coffee we believe you will ever have. 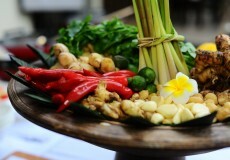 Make coconut oil, which is the best for Balinese cooking. 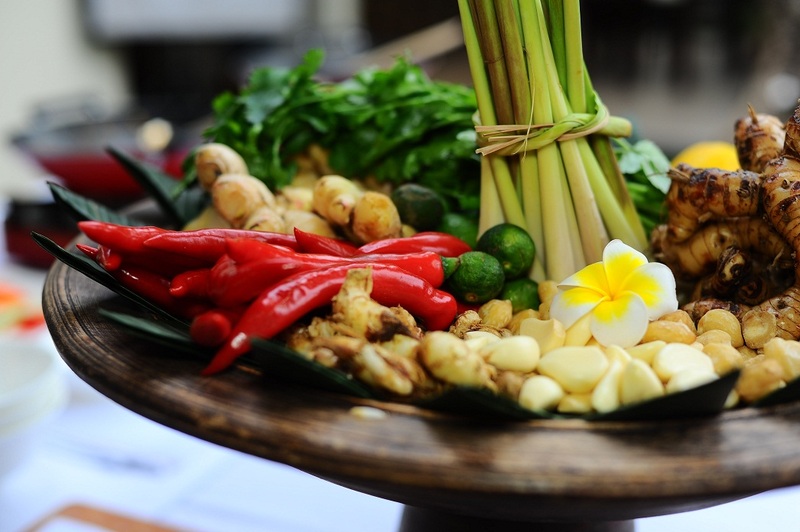 Make traditional Balinese spice paste used as a Base for many dishes –very fragrant and a sensation for your taste buds. You will learn so much for in a short time. The kitchen is run by Local Balinese Chef who has studied at Hotel and Tourism Education Bali.